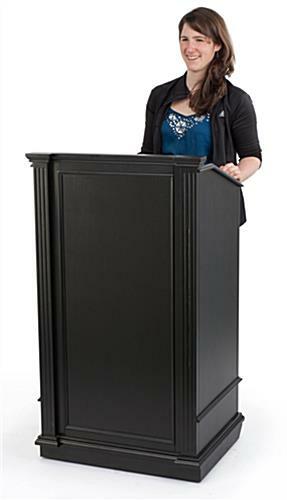 This executive podium furniture is designed to complement professional educational, religious, and corporate environments. 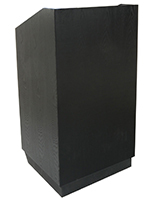 Each elegant full size speaking lectern offers classic design, including an angled reading surface, enclosed base cabinet, 1.25" book stop, and 5" pull out drawer. 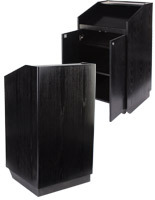 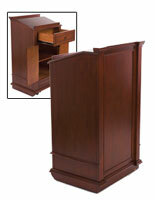 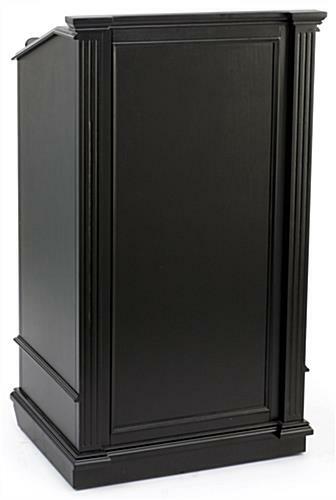 This profesional-quality podium furniture's deluxe look includes semi-gloss black finish natural wooden veneer. 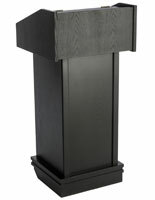 The economical construction of this elegant speaking stand will complement any educational, religious, commercial, or corporate environment. 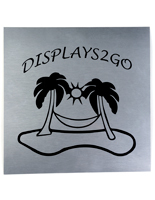 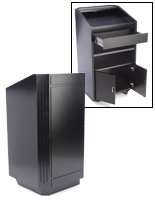 This type of professional presentation furniture offers open access to the pull-out drawer and enclosed storage cabinet. 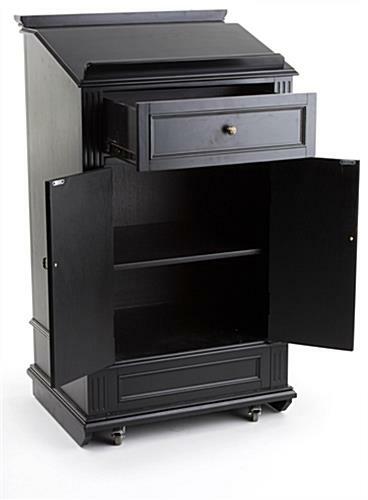 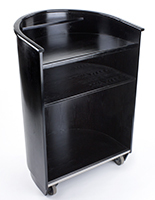 Each premium black finish wooden veneer fixture also includes four non-scratch rubber wheels hidden in the base, including two lockable casters for maximum stability during use. 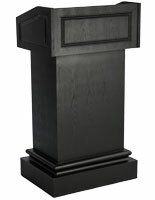 26.8" x 47.3" x 20.5"